Nogosek has a live arm, sitting 92-94 mph and topping out at 95 mph in the outings scouted. His fastball has life and late sink. He keeps the ball down well and generates a lot of weak contact on the ground, leading to a 3.67 ground ball-to-fly ball ratio with Lowell. The pitch also showed the ability to miss bats in the zone and has the potential to be an above-average to plus offering. He complements his fastball with a slider and changeup. His slider is his go-to out-pitch and has above-average potential. The pitch is a short power slider with sharp horizontal break at 85-87 mph. He has solid feel for the pitch and the confidence to throw it in any count. His changeup will flash late fade at 84-86 mph, but is inconsistent at present. He does not have the same feel or confidence in the pitch as his slider and it has below-average potential, but could be a solid change of pace pitch to give the hitters another look. In the past the Red Sox have tried to convert college relievers to starters, but due to his delivery and lack of a third pitch, Nogosek profiles as a pure reliever. This limits his ceiling, but he is the type of prospect who could move quickly in a true relief role and has a relatively high floor. Given he is already with Greenville, it’s not a stretch to think by this time next year he will be in the high minors. If he continues to miss bats and keep the ball on the ground could play himself into to the conversation as a potential call-up as soon as late next year. - Another college closer, 2016 12th-round pick Matthew Gorst out of Georgia Tech, is also out to a strong start in Lowell, with a 0.82 ERA and 1.09 WHIP over 11 innings, allowing eight hits and four walks while striking out six. Gorst signed for just over slot after the 10th round, receiving $115,000, of which $15,000 counted towards to the draft cap. 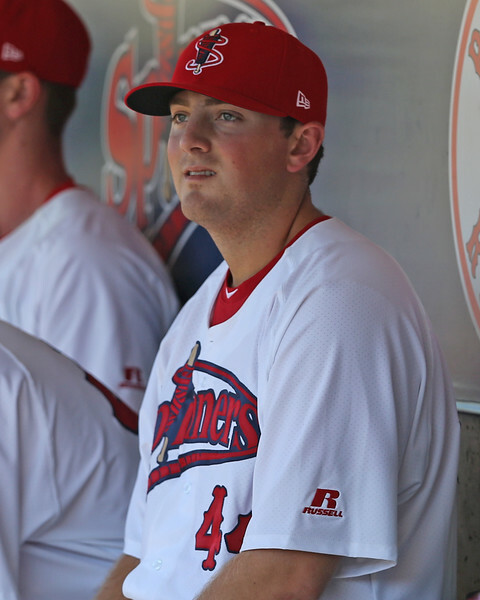 Gorst, 21, has an average, filled-out pitcher’s frame, listed at 6-foot-1, 205 pounds. He has a sturdy lower half, but minimal remaining projection. He throws from a high three-quarters arm slot and is stiff and upright through his delivery. The right-hander has effort in his delivery and a short arm action behind his body that does not come through clean. Gorst’s fastball sits 90-92 mph with average life. The pitch is on the straight side when elevated, but shows natural cut when down in the zone due to a wrist wrap. It projects as a potential solid-average offering. Gorst has only thrown a slider in outings scouted, though his best secondary pitch is reportedly his cutter. He throws his slider in the low-80s with 10-4 movement and flashes of depth. - Though he signed for only $25,000 in the 24th-round this year, right-hander Hunter Smith was off to a strong start in the GCL, and looked intriguing in his Lowell debut on August 4. In four innings of relief, Smith struck out five, allowing only three hits and one run with no walks. More impressively, he induced 15 swinging strikes in that outing. Smith looks his listed size of 6-foot-3, 195 pounds and has a solid pitcher’s fame with some projection remaining in his lower half. He throws from a three-quarters arm slot with a controlled delivery and average arm speed. The 21-year-old starts with his hands by his head and brings them down and then back up again in rhythm before coming forward without utilizing a windup. He has a slight drop and drive coming forward, and overall his arm action works. Smith’s fastball is not overwhelming at 89-91 mph, but he throws strikes and showed the ability to limit hard contact. The key to Smith’s success was his changeup, which he has advanced feel for and showed above-average potential throughout the outing. He consistently threw the pitch 82-83 mph with deceptive arm speed, appearing exactly the same as on his fastball. His changeup working allowed his fastball to play up some even though he has only average velocity. The pitch showed late fade, falling off the table and away from barrels. He got the majority of his swing-and-misses with the pitch and clearly has confidence in it, throwing it in any count to both lefties and righties. The pitch was most effective against lefties, fading down and away out of the zone even when it started over the plate. 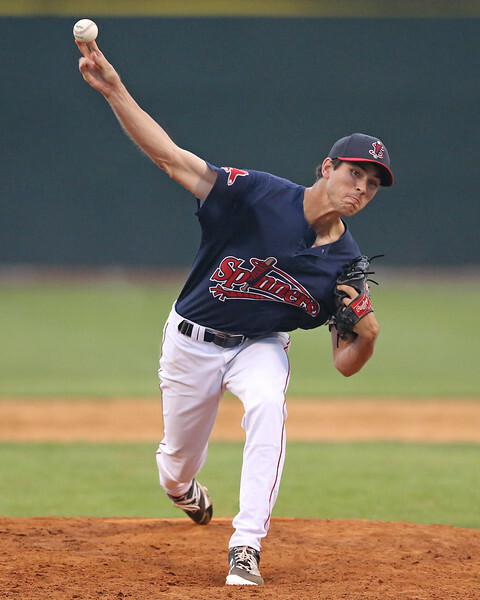 Smith also showed a slider, which worked well as a complement to his changeup. He threw it in the range of 79-81 mph with long, sweeping break. The pitch is horizontal and lacks tilt, but was effective against right-handers and got several swinging strikes against them. Smith does not have much upside, due in part to his velocity, but he has solid feel for his secondary pitches and strong command and control. That makes him a solid value given how late they drafted him and the bonus he received.